The trip home from Cape Hatteras to Cincinnati took me through Norfolk, Richmond, Charlottesville, Virginia. 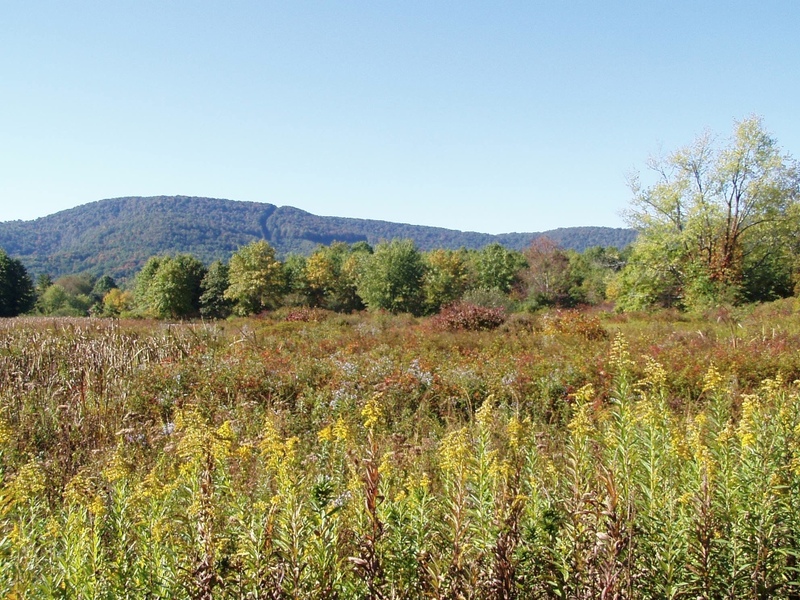 Travelling Interstate 64, I stopped overnight in the beautiful town of Lewisburg, West Virginia. 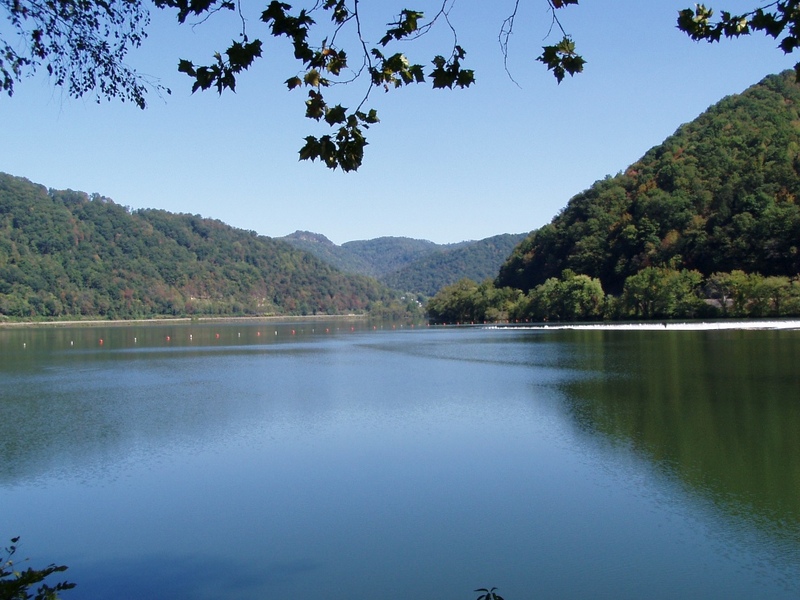 The next morning found me on US Route 60, the Midland Trail, a beautiful two lane highway winding through the mountains and down into the Kanawha River Valley and Charleston, WV. There are places along the Midland Trail where I swore I could see my tail lights in my mirror as I wound through one of those mountaineous curves. 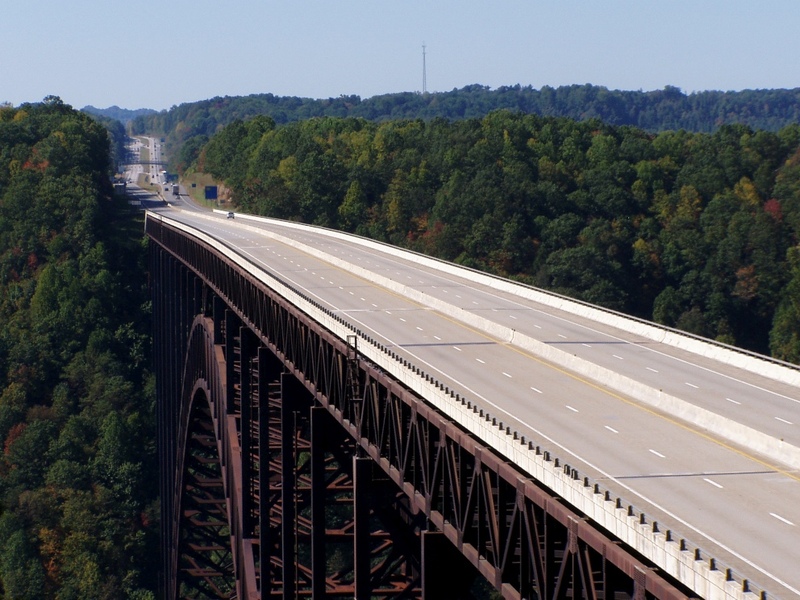 But getting off the Interstate (I-64), is the only way to really enjoy the beauty of The Mountain State. Many of you already know that I spent the first ten years of my life growing up in the great state of West Virginia and am proud to be an alumnus of West Virginia University (Let’s Gooooo Mountaineers). I’ve sung John Denver’s Country Roads about a million times. 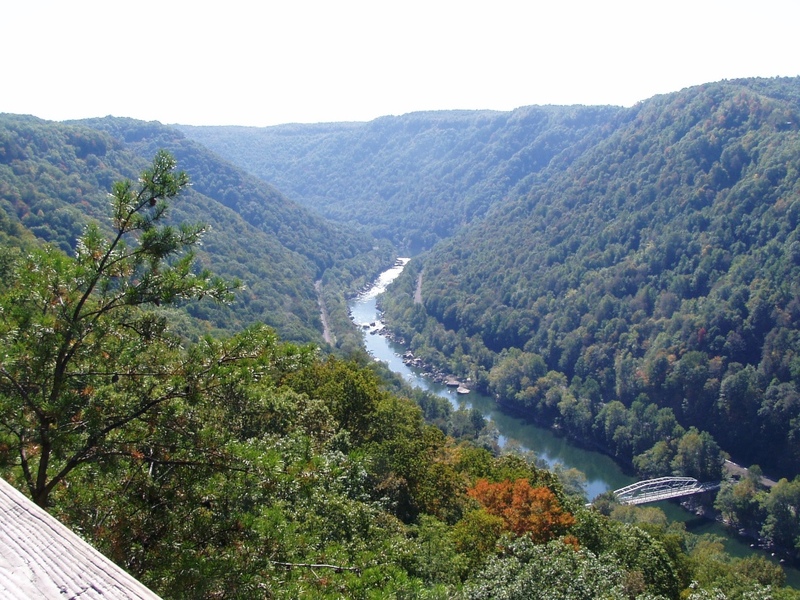 When I stopped at the New River Gorge, I once again became a believer that West Virginia truly is “almost heaven.” I highly recommend a stop at the Canyon Rim Visitors Center for a view similar to the one below. 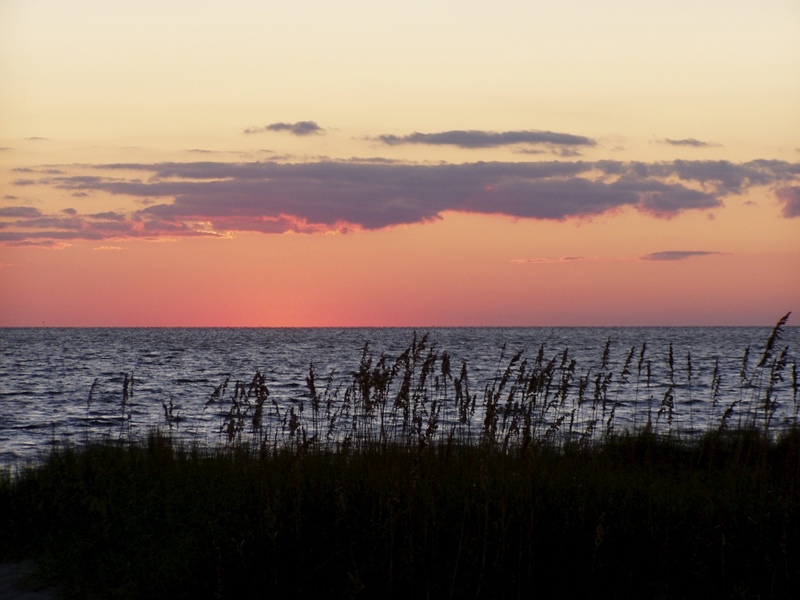 Here’s a few more photos from my Road Trip to the Cape Hatteras National Seashore, North Carolina. 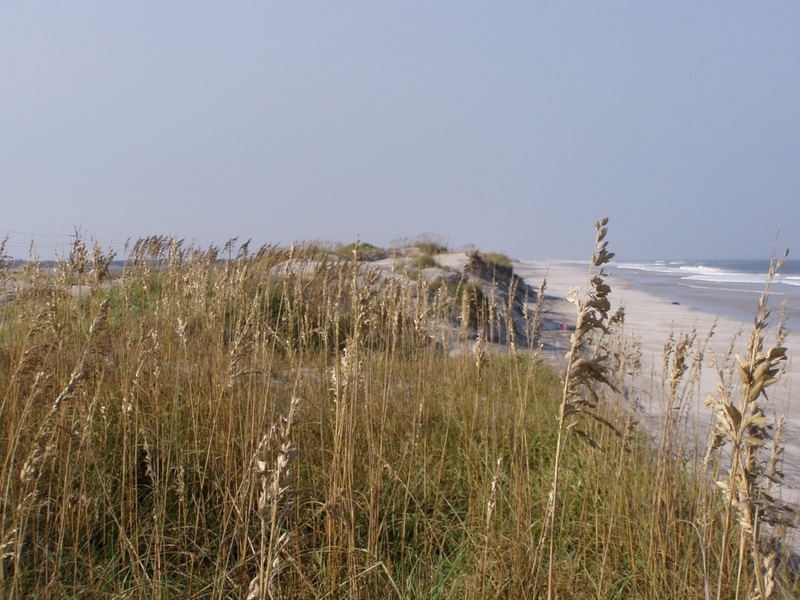 The Outer Banks are a series of barrier islands, a very fragile environment. 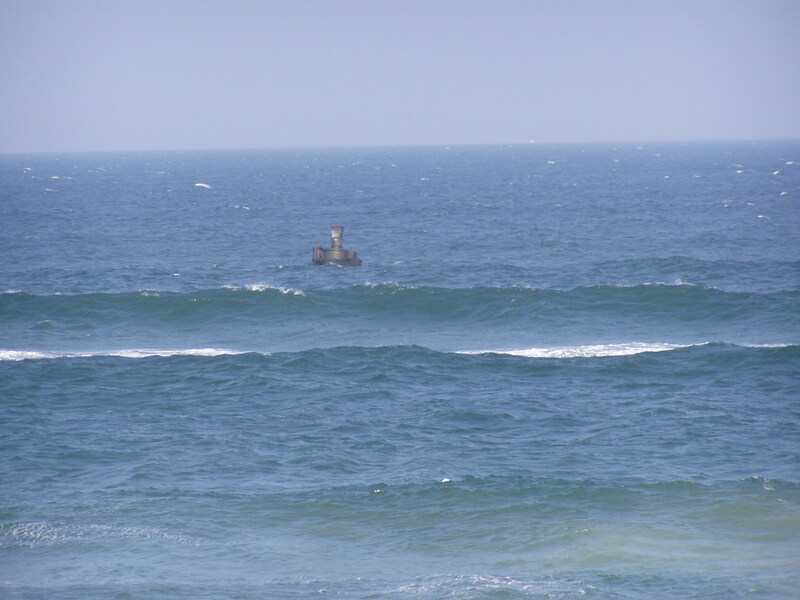 Note the proximity of the two beachfront houses to the surf. 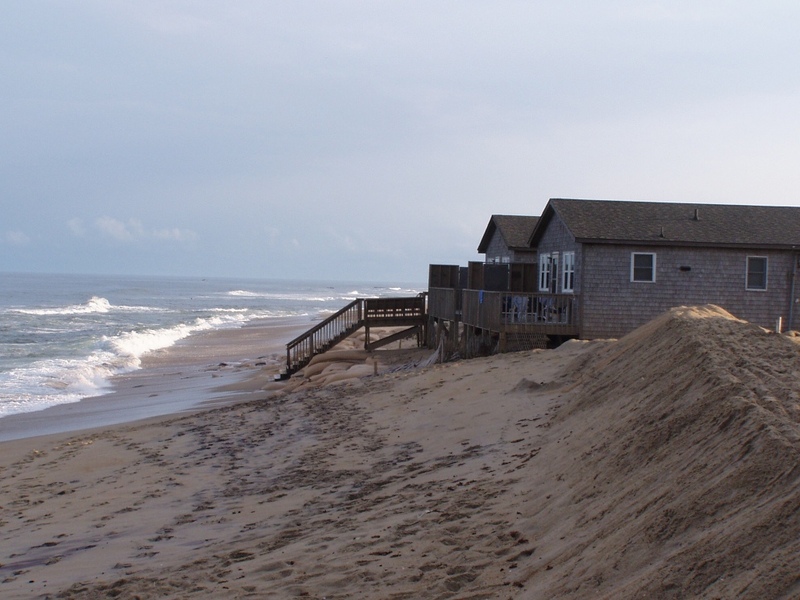 Beach erosion has moved more than 40 feet of beach. 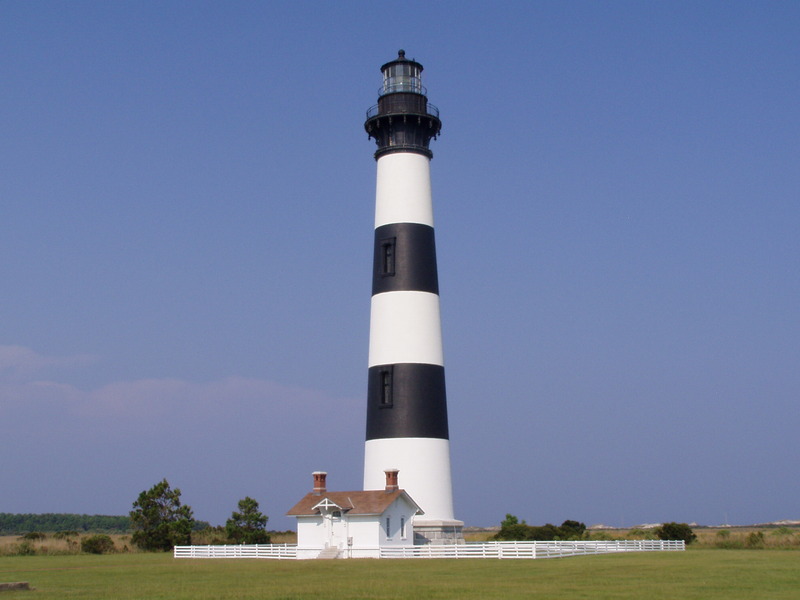 Cape Hatteras Light protects "The Graveyard of the Atlantic"
Last Tuesday, I began a road trip, leaving Cincinnati for a 469 mile through the mountains of West Virginia to Charlotte, North Carolina. I’ve been pretty stressed out recently, truly needing a break, and looking forward to eight hours of pretty scenery and nothing to do but listen to the car radio and iPod touch. 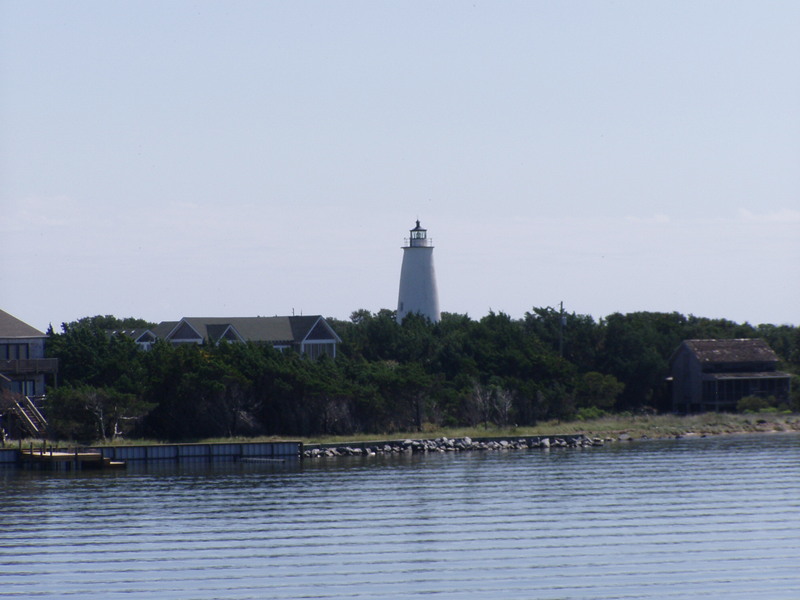 After finishing a training and consulting project in Charlotte on Friday afternoon, I packed the car and headed east for the Swan Quarter Ferry to Ocracoke Island. Since the ferry didn’t leave until 9:30am on Saturday, I drove as far as Washington, NC (population 9,800) on Friday night, and completed the foggy trip early Saturday morning. 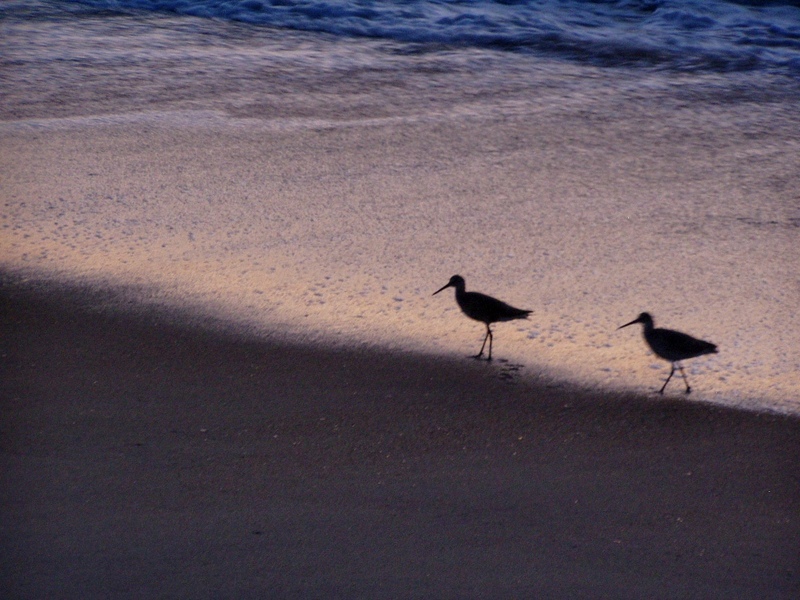 Since that time, I’ve slowed way down to Ocracoke “island time.” Letting the world slowly pass by while watching the waves on the beach. 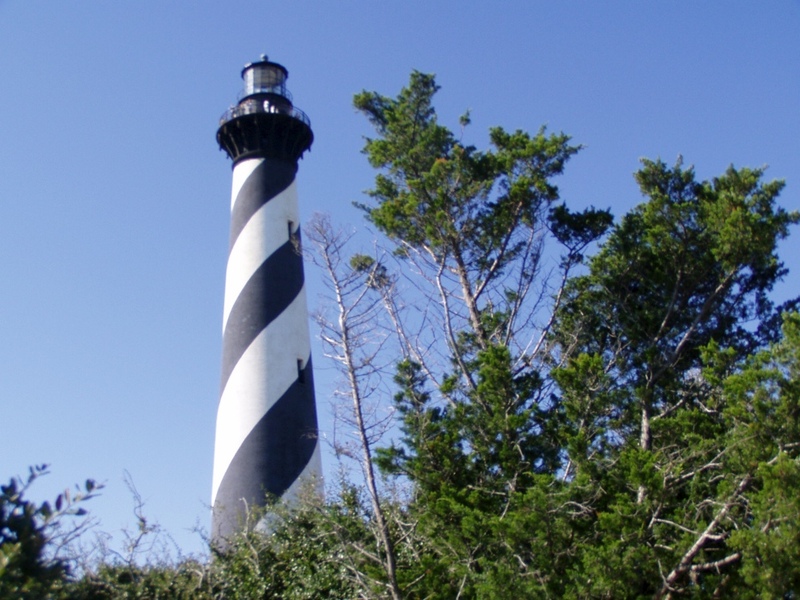 Ocracoke is at the southern tip of Cape Hatteras National Seashore and a small fishing and tourist village reachable only by boat. 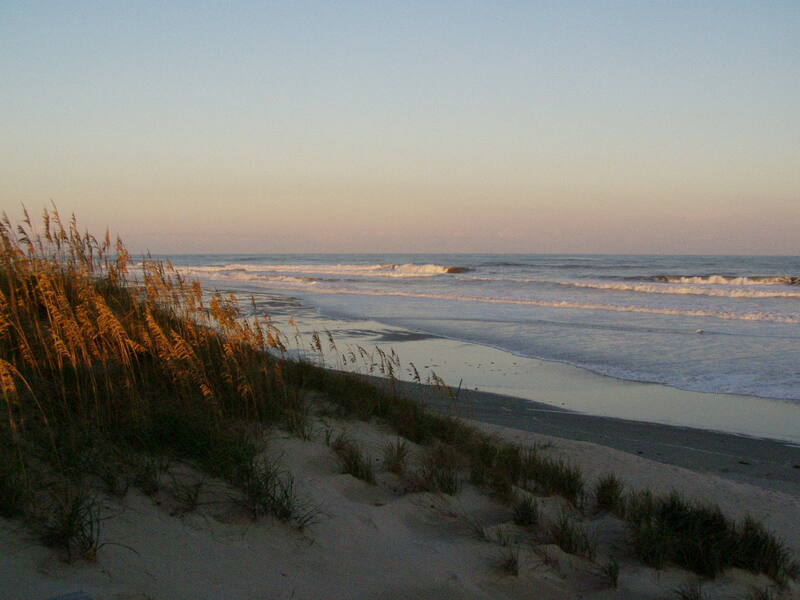 This area is one of my favorite places in the world, and sitting on these beaches refreshes me and makes me feel whole again. I’ve note been here in over five years and have truly missed being here. 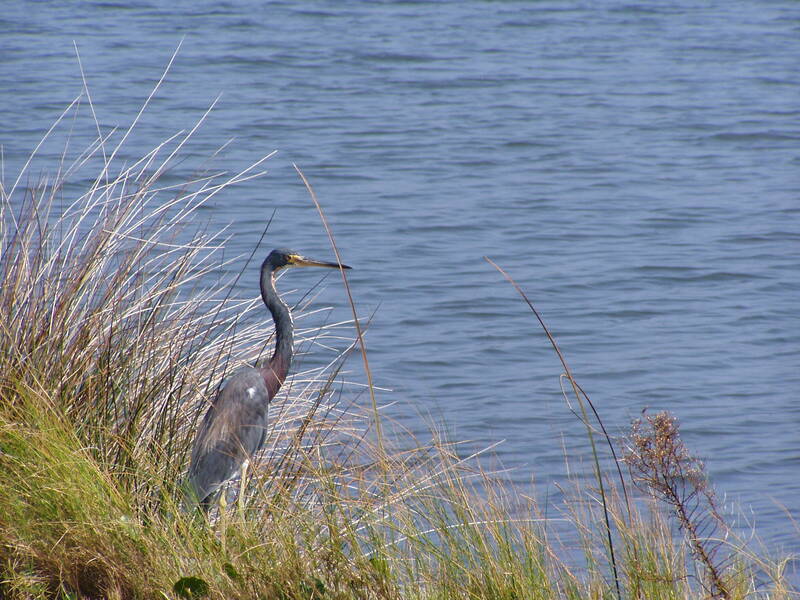 Here’s a couple pictures of Ocracoke. It’s been a long week. On Tuesday, I made a rainy five hour drive to Pittsburgh, so that I could bring my son home from Carnegie Mellon later in the week. In Pittsburgh, I hopped a Southwest Airlines flight to Philadelphia to work on a database project. A colleague and I hammered out a rather complex data structure for a system we’re building, and on Thursday night, it was back on Southwest to Pittsburgh. By the way, I can’t recommend the $10 beers nor the curt bartenders in the Philadelphia airport. What does any of this have to do with snow? The return trip from Pittsburgh of 300 miles, which normally takes 5 hours, took 9 hours. You see, dear reader, we drove into the jaws of the largest snowstorm in Ohio this year. Our driving speed was reduced to a maximum of 40 miles per hour, frequently moving at the rapid pace of 20 mph. In Zanesville, Ohio we spent over an hour in bumper to bumper traffic because I-70 was closed and we were routed onto National Road, US 40. The Ohio Highway Patrol reported over 610 accidents in that time period, we spotted at least 5 jack-knifed trucks, and cars spun out everywhere. Ironically one such truck was seen off the road right near the famous Hell is Real sign on Interstate 71 south of Columbus. I drove the entire trip, given that my son just doesn’t have the experience yet in those dangerous conditions. We took frequent pit stops, mainly so that I might unwind from the stress of navigating skating rink quality, sweaty palm, hands tightly gripping the steering wheel, icy highways. As I look out my window from the warmth of my favorite living room easy chair, I see snow. White everywhere. A snow covered yard and a snow filled sky. They say a blizzard is coming. When I think of firsts in things, things that happen in the Cincinnati region don’t often come to mind. But according to the Cincinnati Business Courier, this town has something to crow about. Cincinnati ranked first (in the nation) with an average air fare of $562.23 for the second quarter, up 6.7 percent from $526.94 in second-quarter 2006. That was way ahead of second-place Anchorage, Alaska, with an average fare of $487.68. Compare this to the lowest airfare flying out of Lihue, Kauai, in Hawaii at an average of $138.66. Also note that airfares in general dropped 4.5% compared with last year, while those at CVG rose 6.7%. Congratulations are in order to the Kenton County Airport Board for this achievement, as well as for being such a watchdog for the public interest. Of course, having sold most of the gates to Delta Airlines, it comes as no surprise that fares are constantly so high here in this Delta hub. Many local travelers find it more reasonable to fly out of Dayton (39th), even though it’s about an hour drive away. There was a time I’d even drive as far as Columbus (71st most expensive) to save significant bucks, only to find myself connecting right back home in Cincinnati. If I planned ahead, and didn’t check any bags on my return flight, I simply “forgot” to board the Columbus flight and got a ride to my home, twenty minutes away. Hey Cincinnati! Don’t it make you proud to be first at something?